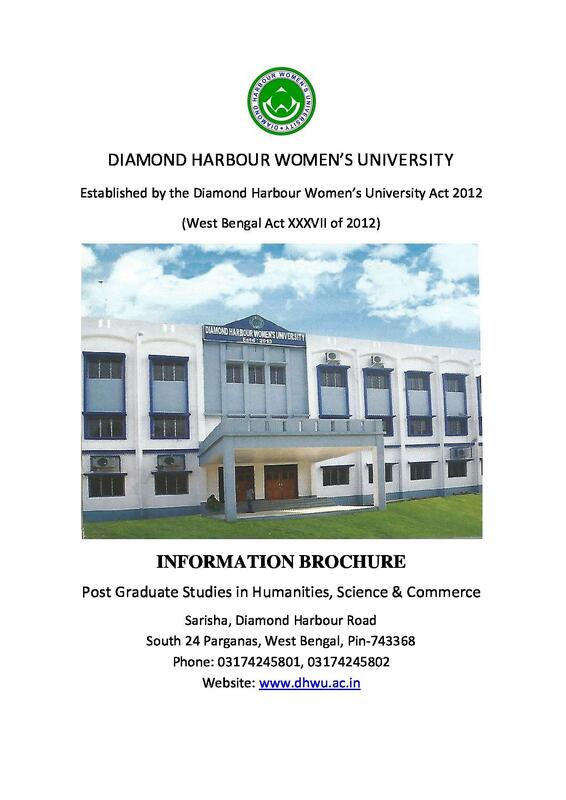 Diamond Harbour Women's University was established in the year 2012. It is the first university in the district of South 24 Parganas. The University has already started functioning from the academic year 2014-15 with the introduction of 2- year, 4- semester PG courses in six subjects; Bengali, English, History, Political Science, Education and Women’s Studies. 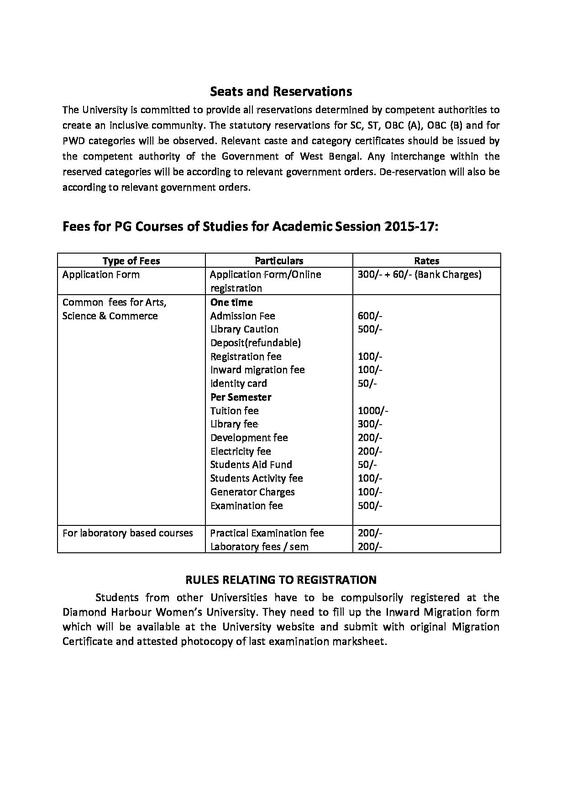 Diamond Harbour Women's University invites the admission on merit-based. DHMU offers M.A, M.Com and M.A courses for the duration of 2-year in various specializations in the departments of Arts, Science and Humanities. The admission is based on the merit in the qualifying examination. 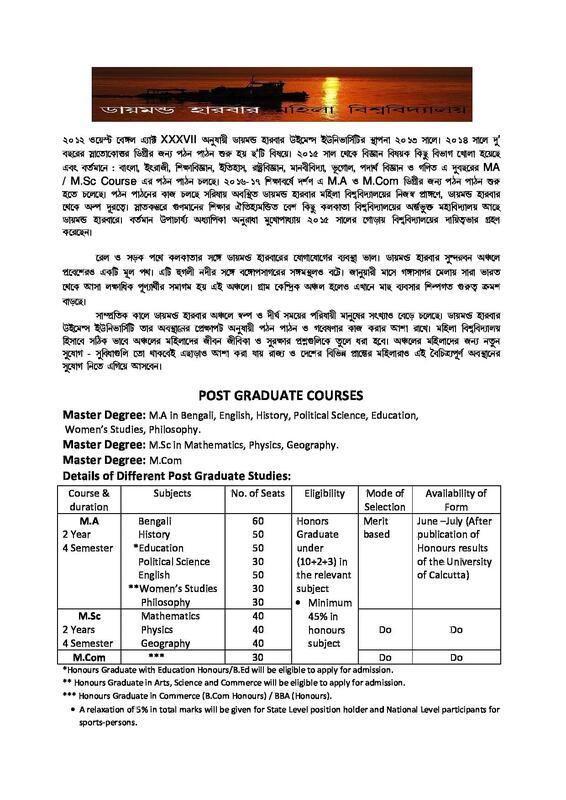 The admission in the University for these courses will be done on the basis of Diamond Harbour Women’s University Entrance Exam and Merit List. In order to pursue MA/ MSc, the candidates must have obtained graduation degree under (10+2+3) system in the relevant subject with minimum 45% in aggregate. However, for M.Com degree course, the candidates need to have B. Com (Hons.) or BBA (Hons.) degree with minimum 45% marks in aggregate.